I Know Sports invites kids to the amazing world of various kinds of sports. Kids will love lifting the flaps while learning about baseball, soccer, rodeo and many more - young readers will become real sports fans! The book has 70 sturdy flaps to lift featuring colorful kid-friendly illustrations that introduce new concepts and vocabulary in a simple way. 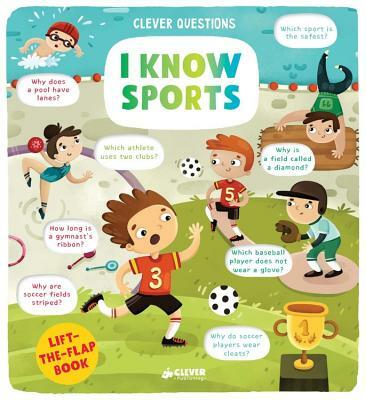 Clever Questions is an innovative non-fiction series that includes 4 titles about the most popular subjects; vehicles; weather and climate; sports and the world around us. The handy square size and the high quality board pages with round corners make this series a perfect way to discover the world and how it works.